Here are the taglines of various paint companies along with the logo. 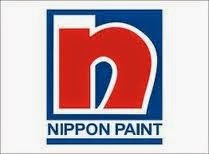 Kansai Nerolal Paints Limited - the logo is denoted by KN the abbreviation of Kansai & Nerolac. Shalimar Paints logo- This logo is an abbreviation of the full name Shalimar Paints "SP"